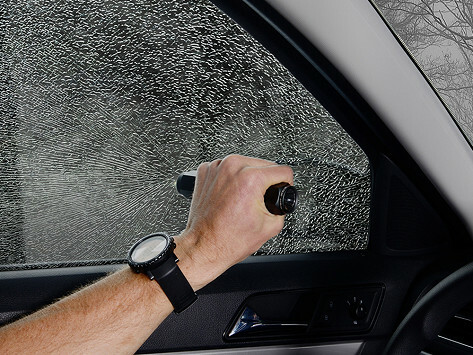 This car emergency tool is built to do many tough jobs. The military-grade aluminum multi-tool has two steel window breakers and a seat belt cutter built in, as well as a flashlight that can function as an SOS light. And it’s backed by a guarantee to last a lifetime, too. Dimensions: 6.2" x 1.2" x 1.2"
“Well I’ce Purchased only for one purpose and that is ‘safety’ which this INGEAR autoXscape Car Emergency Multi-Tool is actually meanttually meant for. I haven’t had a chance to practically demonstrated for safety purpose as yet BUT I know that whenever I will need it I will find it in my car. I will have to give kudos to the creator for such a highly valuable as well as innovative tool. 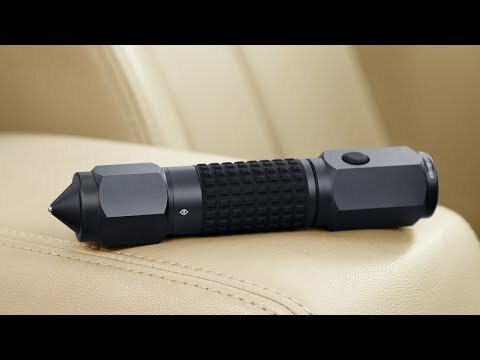 Versatile tool that provides peace of mind knowing that I can brake out of my vehicle or cut out of a stuck seatbelt. Flashlight functions well. The quality appears to be good. My review is based on my initial impression of quality. Fortunately, we have not needed to use it. Product is sturdily constructed & appears of high quality. Thank goodness I've never had to use it yet! Hope I never need it. Great to know this could save my family.